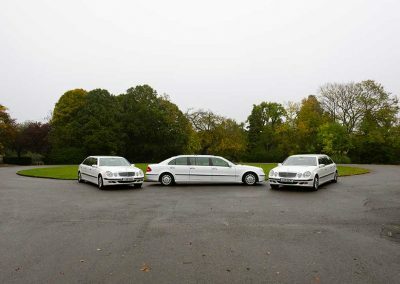 We have a ‘bright white’ E-class Mercedes fleet consisting of a hearse and three limousines. 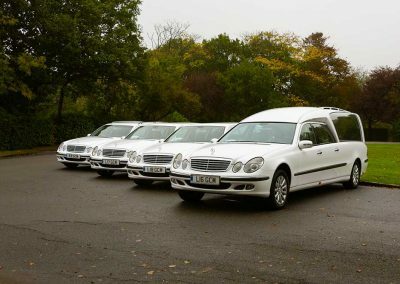 These are an extremely modern alternatively to traditional black vehicles, popular for children’s funerals, or look stunning teamed with a white horsedrawn carriage hearse. 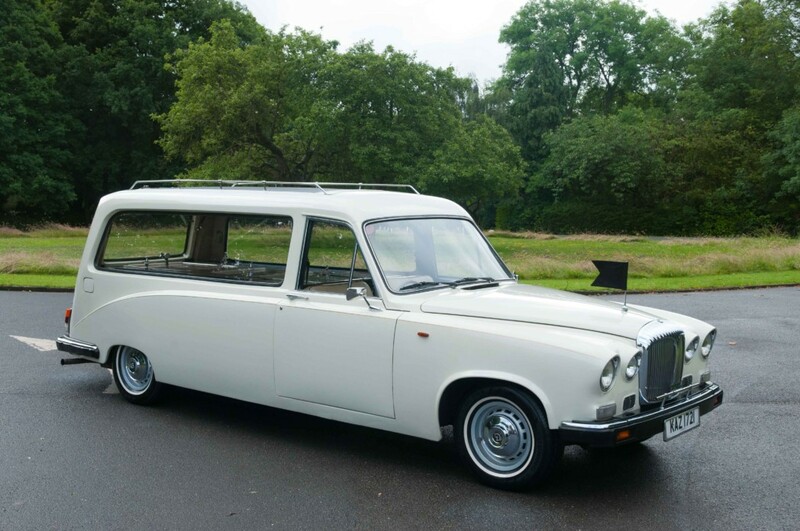 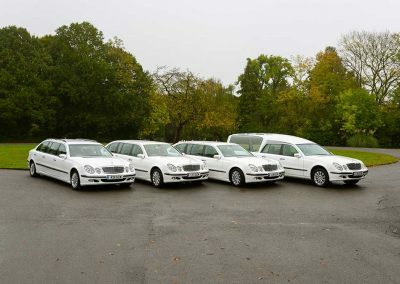 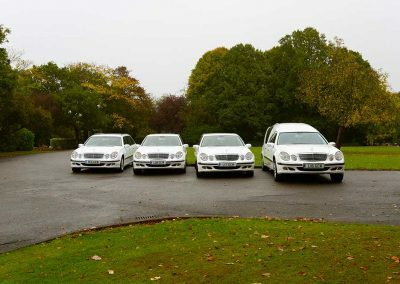 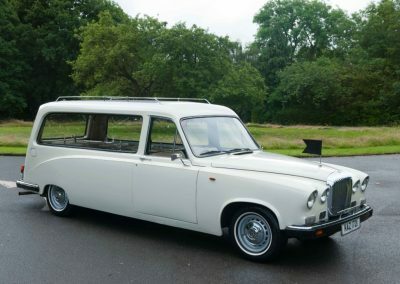 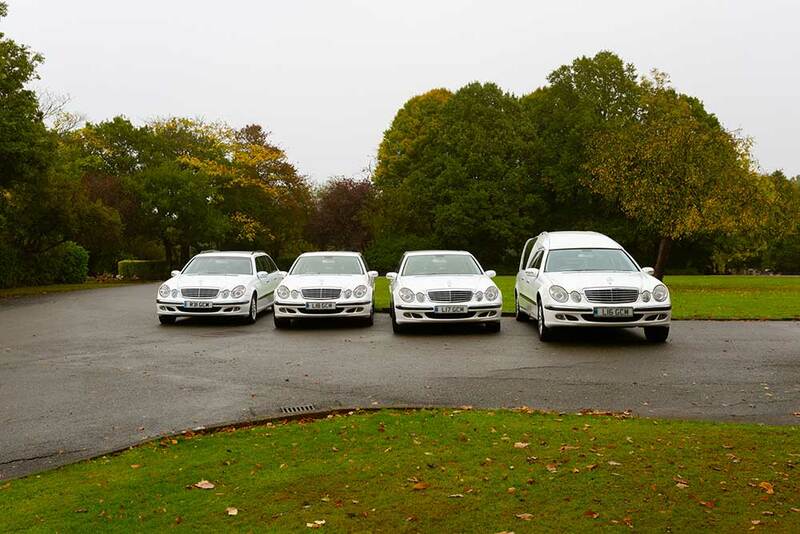 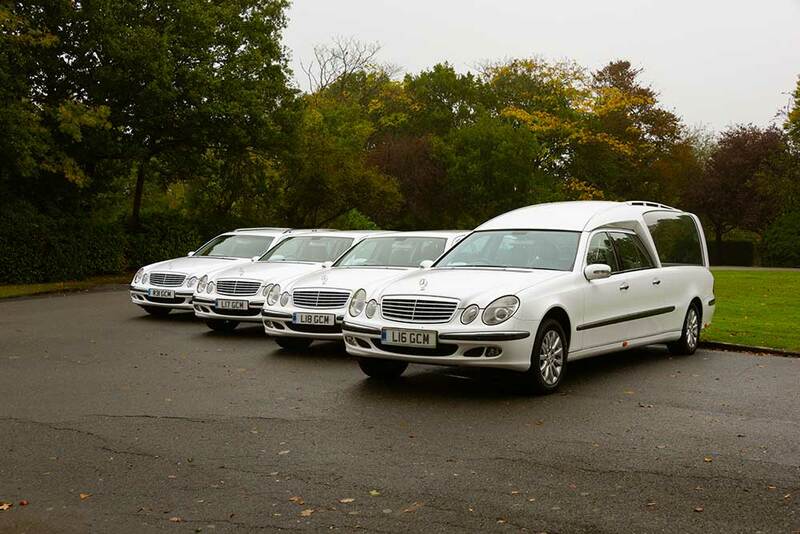 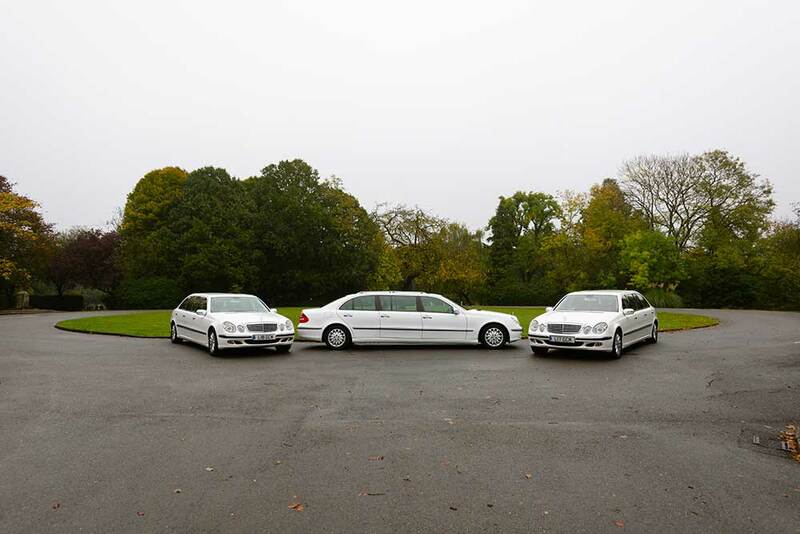 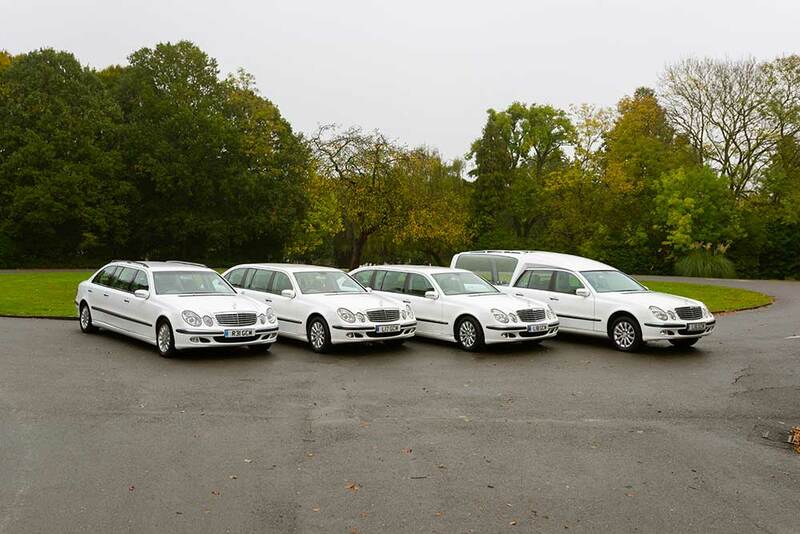 Our ‘olde English white’ Daimler fleet is asked for again and again and made up of a hearse and two limousines. 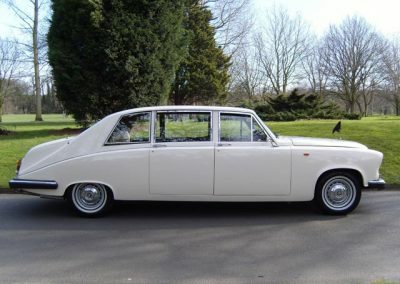 These more traditional, beautiful vehicles are finished in an ivory coachwork.